Humming is among the simplest, yet most profound sounds that we can create. It has amazing beneficial abilities to affect us on the physical, emotional, mental and spiritual levels. 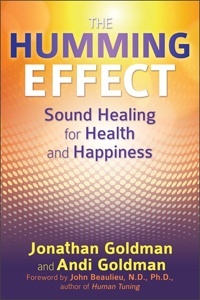 Our book THE HUMMING EFFECT explores the many different aspects of how and why humming works. Below are 7 reasons why humming can become a practice to enhance health and wellness for everyone. As teachers and practitioners in the world of sound healing, we are well aware of the ability of sound to heal and transform. We also know that the most powerful sounds we can experience are often the ones we create ourselves. People sometimes confuse this ability of making self-created sound with the necessity of having some sort of music ability such as playing a musical instrument or being able to sing. We know this is not the case. With over 50 years of combined experience in this field, we asked ourselves what is the simplest sound that everyone can make. The answer came immediately: humming. Everybody can hum. From infants to the elderly, everyone can hum. And everyone does hum. But until now, no one has ever written a professionally published book on the subject. Now, there is THE HUMMING EFFECT. We like to say that if you have a voice, you can hum. And you can experience the positive benefits of humming for health and happiness. The Humming Effect is about the power of the hum to heal and transform us on a physical, emotional, mental and spiritual level. Through humming, we can all learn to use our own voice as a tool of empowerment—learning to create and use the power of resonance to manifest harmony and balance. In our book, THE HUMMING EFFECT, we include several essential aspects of self-created sound including the power of our breath and the power of our intention. We’ve both personally worked with self-created sound from many different traditions, both Eastern and Western, and have found that from our perspective, the hum may be the most powerful. We’ve used it to relieve pain, reduce stress, help us sleep and much much more. It’s real and it’s true. We know that sound can heal—vibrational healing has been known about since ancient times and is now slowly being acknowledged in traditional medicine. With THE HUMMING EFFECT, we offer an incredibly simple, yet equally profound modality of healing that everyone can utilize for health and happiness. What if you realized that you had the ability to help heal yourself? 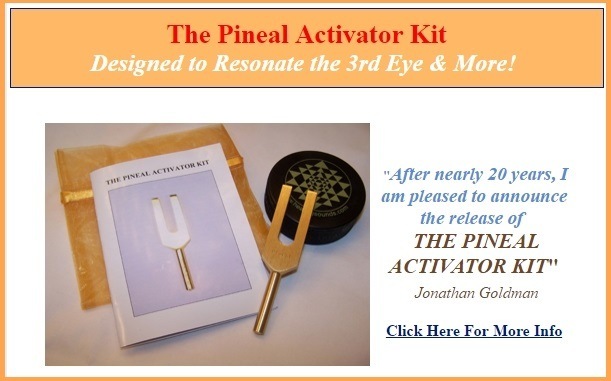 What if you understood that you could lower your blood pressure and heart rate, enhance your ability to sleep, and assist hundreds of others conditions simply through the power of your own sound? 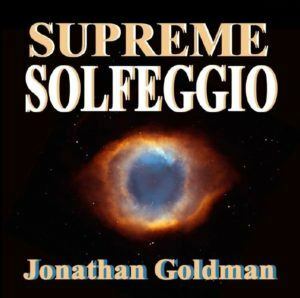 What if you discovered how to change your mood and alter your state of consciousness with your own self-created sound? What if there was the possibility of taking charge of your health and wellness simply through making this most simple and easy sound? Well you can! You can do all of these things and more with humming. Humming is empowering. It can enable you to experience aspects of yourself that you may never have thought possible. That is why we wrote The Humming Effect and why we pass this information on to you. And that is why we say: “The simplest sound is the most profound!” Try humming and feel the difference! If you think about these benefits from the self-created sound of the hum, it’s rather remarkable. Simply being able to lower your heart rate and blood pressure without pharmaceuticals is important. So is the reduction of stress related hormones—we all know how a majority of the illnesses that occur are stress related. We can reduce stress without pharmaceuticals. That is extraordinary. In addition, we produce melatonin when humming. Melatonin has been found to be effective in helping us sleep. It’s also being researched for use in treatment of depression. We also produce nitric oxide (NO) which may be among the most important chemicals which our body can produce. NO widens our blood vessels and has been found to be very important for the treatment of coronary disease. Data has shown it’s also great to help if you’ve got blocked sinuses. We’ve used humming to heal ourselves of headaches, sore throats and many other maladies. It’s been quite amazing. This is due to the phenomenon of conscious humming, which has truly enhanced the ability of humming to heal and transform. It’s been extraordinary. What is conscious humming? It is simply the focusing of our attention on what is happening when we are humming. When you project intention onto your hum, the effects of your own self-created sound are amplified and can be quite monumental. We’ve described some of the physiological benefits of humming, but very few people have ever experienced this on a conscious level. The reason for this is that most people are prone to humming unconsciously—usually when they’re happy and feeling good. This is wonderful, but to truly experience the vibro-acoustic effects of sound, it’s necessary to take part in conscious humming. To begin conscious humming, all you need do is to first set aside a few minutes to allow yourself to actively experience the effects of humming. Most people we know, even though they have been humming throughout their lives, are amazed when they spend a few minutes consciously humming. They become aware of the resonance that the hum creates and when they add the aspect of intention to this, the effect of the hum becomes amplified. There are really only a few important steps that are necessary for conscious humming. The first is to set aside some time when you will be able to experience your humming and to find a place where you can do this without being disturbed. The second is to takes some nice slow and deep breaths before you begin to make sound. While you are doing this, we suggest that you check yourself out—how are you feeling? Is there something in your body that is causing discomfort? Is there something that you emotionally would like to work with? Become aware of how you are feeling in order to experience the power of the hum when it occurs. The third thing we ask is to for you to close your eyes when you begin to hum. The fourth is hum for a few minutes, focusing your attention totally on what you are experience. And lastly, we suggest that you allow a few minutes after you have finished humming to allow the energy of the hum to create the positive shifts and changes that it can produce. Check yourself out after you have hummed and note any changes or differences you may have experienced. You may find some extraordinary shifts have already occurred. We always ask that you don’t immediately get up after you’ve done conscious humming—oftentimes, you may find yourself so blissful that you will need a few minutes to assimilate the experience. In THE HUMMING EFFECT, we take you through various levels of humming, from beginning to advanced (yes!) and give assist you in learning to encode intention onto your hum. In our research, we discovered an advanced form of humming that is practiced in the Hindu Yoga Tradition of Shabd Yoga, called Bhramari Pranayama. 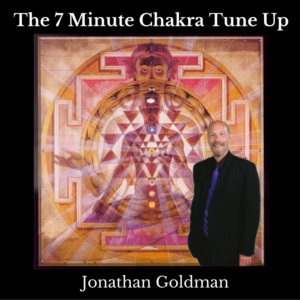 It is considered a very powerful and potent healing and transformational practice. The benefits of bhramari pranayama includes all of the above peer reviewed material we previously described as well as emotional, mental and spiritual benefits including assistance with Alzheimer’s. In the last chapter of THE HUMMING EFFECT, we hypothesis that with proper research we may find that humming is able to manifest neuro-genesis—the creation of new connections in the brain. We’ve had many anecdotal stories about this, including from people who have suffered from strokes and were able to successfully utilize humming to assist themselves. We’ve also been told of people with PTSD who have used humming to feel better and known of one well known neurologist who has his patients with PTSD hum as a healing modality. Our first understanding about the sacred nature of the hum occurred when we were teaching together at Yogaville, an ashram founded by Swami Satchadinanda, the guru who started off the Woodstock Festival in 1968 by having half a million people chanting. We found a copy of Pantajali’s “Yoga Sutras” that had been translated by Sw. Satchadinanda. In it, he wrote about the first sound— “pranava” or the humming of prana (life energy). This humming needed a name, so they called it “OM”. Thus, according to the Hindu tradition, the first sound was a hum. This is also a phenomenon that has been validated by astrophysicists. Last, but certainly not least is something we don’t need to tell you. Humming is fun. Otherwise, you wouldn’t be unconsciously doing it when you feel good. As previously noted, when we hum, endorphins, those wonderful self-created natural opiates that make us feel good and work as pain reliever are released. So is oxytocin, the “love” hormone that helps create trust. The release of these hormones and neuro-chemicals maybe some of the reasons why humming is fun. But there may be a lot more. In fact, there may be a “feedback loop” that occurs when you hum. You hum when you feel good and you feel good when you hum. This is humming for happiness. The one thing we know for sure is that the more you hum, the better you feel. We predict that once you start consciously humming, you’ll not only start feeling calm and relaxed, but you may begin to experience the healing ability of your own sound. How extraordinary! Lastly, please remember, you don’t have to be a musician in order to hum. You don’t even need to be able to carry a “tune in a bucket”. All you need is a voice. That and the desire to help relieve yourself of any imbalances that may be occurring. While we can offer you the technique, the decision of whether or not to do it is up to you. It is your choice. We trust you’ll choose wisely and discover the extraordinary benefits of humming. Thank you for this opportunity to share these possibilities with you.